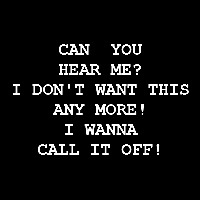 "Can You Hear Me?". . Images in the Eternal Sunshine club tagged: photo eternal sunshine of the spotless mind esotsm quote joel barish icon.